If you want to make your resume or CV stand out in today’s ultra-competitive job market, focus on these two things: great content and strategic design. Your content should focus on impact – what did the position entail, but also how did you leverage your skills and talent to add value to the role and the organization? Avoid making it just a list of responsibilities and tasks – mix it up with accomplishments that add context. Also, pay attention to the readability and design of the document. Is it attractive and eye catching? Does the content flow with the natural movement of your eye, as the reader? Are you potentially distracted by over-usage of formatting elements. A good resume is definitely content driven, and no amount of good design will trump that. But it’s also about effective presentation of the information so that your message actually gets through to the reader. The Short Answer is a blog series of straight-to-the-point advice snippets based on some of my most popular social media threads and discussions. Keep an eye out for new topics each week. 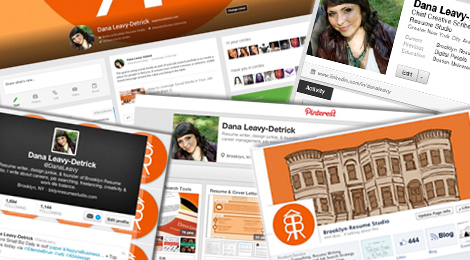 Tags: branding, career, communication, information design, personal branding, resumes. Bookmark the permalink.